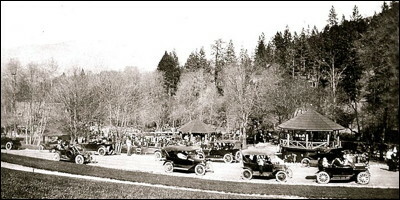 Dedication of Lithia Park in Ashland, Oregon on July 4, 1916. The Tidings estimated that 50,000 people attended the 3 day event (July 4-6). A couple of years before, my grandfather Frederick Armstrong Daugherty planted rows of sycamores above the bandshell he had grown in his nursery.